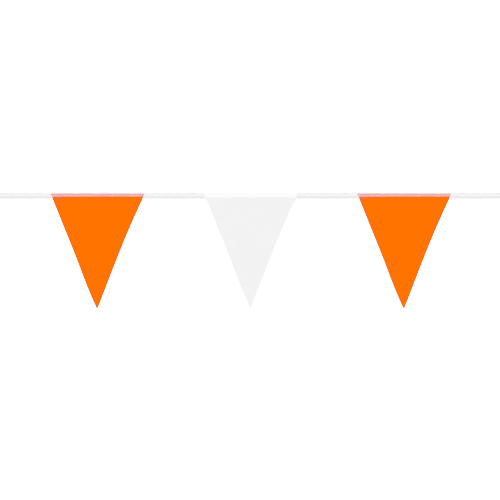 Our pennant flags come in 60 ft long strings containing 36 brightly colored 9” x 12” pennants. Ideal for use at construction sites, scaffolding, wet floors, sporting events, grand openings, open houses, and other practical applications. Using these to attract attention to a new business location. Orange color is starting to fade in the Florida sun. Might last a few more weeks before they will all be white.